Galway Food Tours is heading back to the classroom this May. The Galway company in conjunction with Taste4Success Skillnet is launching a training programme that will teach you how to Develop a Food Tour Business. “There are so many elements to running any small business now but with Food Tours is really need to be a good communicator with excellent people skills, able to engage a group of tourists, domestic or international customers. 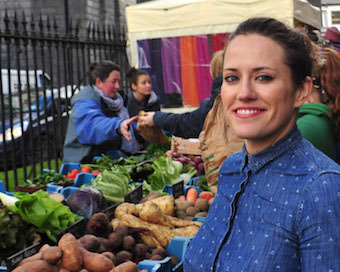 You should have a creative personality, think outside the box and have a flair for business, marketing and social media, “explained Sheena Dignam of Galway Food Tours (pictured). A Taste for success, developing a Food Tour Business will run on 7, 14, 21, 28 May and the 4th June at the Clayton Hotel, Ballybrit, Galway. This course is fully funded by Skillnet. For more information please email: info@taste4success.ie.